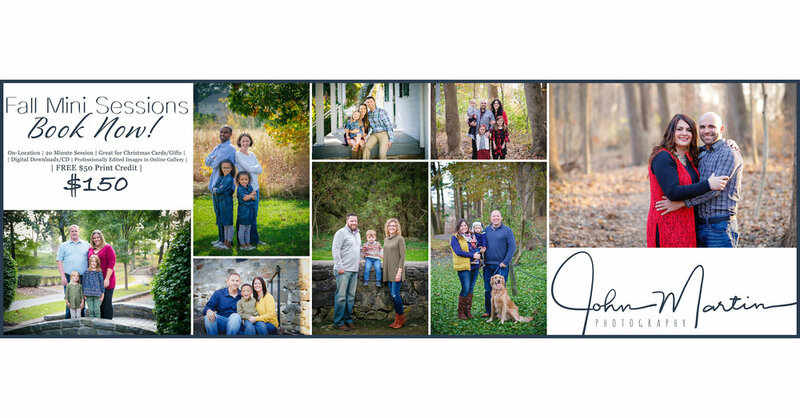 Fall Mini-Sessions are back. Please use the form below to book your session. All Published Images are Downloadable or can be delivered on CD/DVD (at no extra charge). 50% due at the time of booking; remaining balance due 3 days prior to session. (No refunds, deposit can be transferred to a new date if you give more than 72 hours notice).